Application Process: LL.M. & M.S.L. Tuition and Costs: LL.M. & M.S.L. When you apply to Dayton Law, our admissions committee not only considers your GPA and LSAT or GRE performance, but also, life experience, extracurricular activities, leadership, ability to overcome hardships, motivation and a breadth and depth of skills and interests. We believe a well-rounded and diverse entering class will contribute to an exciting, educational and dynamic law school experience. Our online application opens for summer-start applicants and fall-start applicants. Most admissions decisions are made during this time. 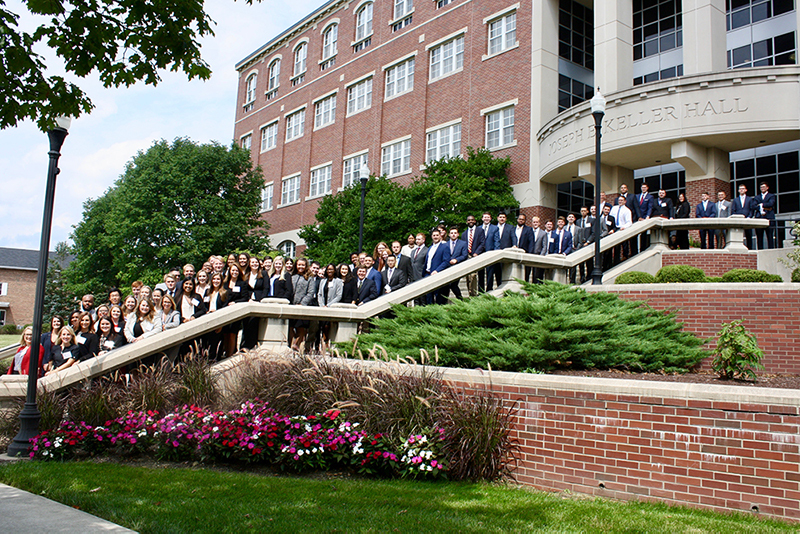 Since the University of Dayton School of Law follows a rolling admissions process, our Admissions Committee usually notifies an applicant of our decision within two to six weeks of application completion. In some cases, our decisions may be made after April 1. We will consider applications submitted after the deadline, but chances of acceptance may decrease. You must submit an online application for the summer 2-year J.D., fall traditional 3-year J.D. or the fall online hybrid J.D., including your biographical, educational and employment background. Your undergraduate major can be from any discipline, but the acquisition of strong skills in reading comprehension, writing and analysis is encouraged. Your undergraduate GPA gives the Admissions Committee an indicator of academic performance. Our Admissions Committee reviews transcripts in detail, looking for grade trends and type, depth, and rigor of courses completed. If you have extenuating circumstances that affected your academic performance, include an addendum to your personal statement. Your degree may be in progress at the time of application, but must be completed by the start of law school. The Credential Assembly Service is the clearinghouse for your LSAT score(s), transcripts and evaluations. You may also apply to any ABA-accredited law school through this site. We accept either the LSAT or GRE, as long as the score was earned within five years of the expected date of entry into law school. 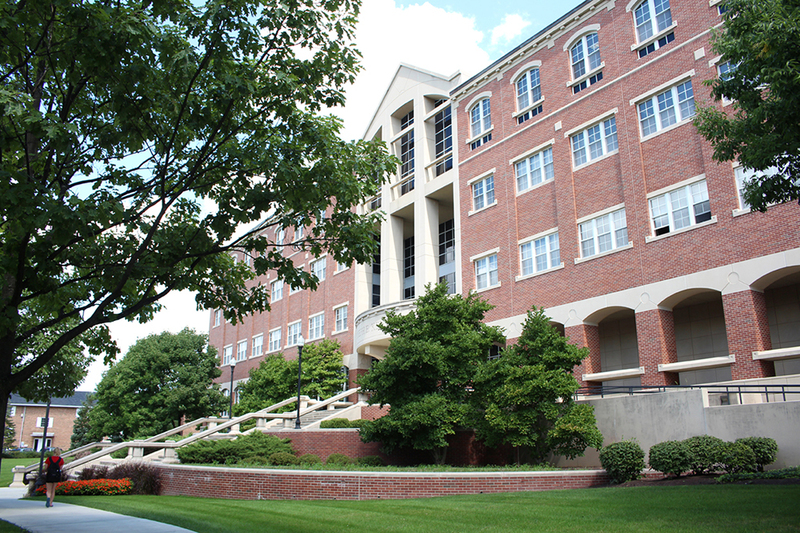 Your LSAT score, along with your cumulative undergraduate grade-point average, are among the primary considerations for admission to the University of Dayton School of Law. The LSAT is designed to test reading comprehension, analytical reasoning and logic. However, all portions of your application are considered by the Admissions Committee. We also will accept the GRE for admission consideration. If you apply with a GRE score you must also register with the Credential Assembly Service (CAS) through the Law School Admission Council (LSAC). Other than the GRE score, the rest of your application materials—including your transcripts, letters of recommendation, personal statement, resume, and optional diversity statement—must be submitted to CAS. If you have also taken the LSAT, that score will be part of your CAS file. While applicants need only take either the LSAT or the GRE, we will consider all scores if you take both tests. If you have taken the LSAT, we consider that to be the primary admission test, regardless if you have submitted a GRE score. The School of Law requires at least two professional letters of recommendation from people who can substantively comment on your academic or employment record. We recommend academic references, if possible. Letters must be sent by the recommenders to LSAC. Applicants should be aware that all jurisdictions screen applicants on character and fitness issues before admitting them to be licensed to practice law in the jurisdiction. In addition to a bar examination, there are character, fitness, and other qualifications for admission to the bar in every U.S. jurisdiction. Applicants are encouraged to determine the requirements for any jurisdiction in which they intend to seek admission by contacting the jurisdiction. Addresses for all relevant agencies are available through the National Conference of Bar Examiners. Your personal statement should highlight your law school interest and motivation. We also want you to tell us why you believe you are a good candidate for law school and, ultimately, the practice of law. The statement should give our Admissions Committee additional insight about you and to provide a basis for appraising your writing ability. The statement should be one to three pages in length. Graduate work indicates your motivation and can be a predictor of success in advanced degree programs, including law school. Work experience, particularly if it coincides with the completion of your undergraduate degree, demonstrates time management and life balance. Participation in extracurricular activities shows your involvement and leadership experience outside of academics. Volunteer or community service demonstrates involvement and commitment to the Marianist tradition of helping others in the community. If you have any extenuating circumstances that affected your academic performance or your LSAT score, you may attach a short statement to your application. We value the diverse experiences and backgrounds of students in our entering class. This optional addendum may outline your own diverse background and highlight any unusual experience you might bring to the School of Law. If you have already applied to the University of Dayton School of Law, you can see your application status.